Great news today... Red Hat Yoga has been named Winner in the Muddy Stiletto Awards 2018 (Best Yoga/Pilates Studio, Warwickshire).This would not have been possible without everyone who voted for Red Hat Yoga. The amount of support I've received is overwhelming. Thank you all very much. I'm just about to take a break for a couple of weeks to attend a very special Personal Development Program in France with Sue Knight. I'll also be teaching yoga and facilitating Yoga Nidra sessions as part of the course. I will share my some of my learning and insights though Mat Chat (internet connection willing!). I'll also be taking time out to plan the next stage of development for my little business, how best to serve the growing Red Hat Yoga Community and continue to introduce Yoga to people who might not initially think it's for them. It's my mission to introduce 1000 new people to yoga in ten years. A big but very worthwhile goal. I'm in year 4, there's still a long way to go but moving in the right direction. 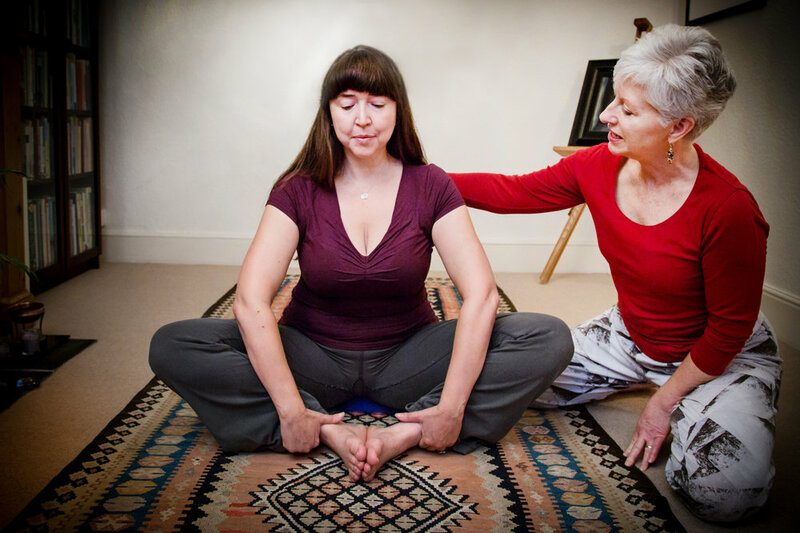 Red Hat Yoga has launched a new Mindful Yoga class on Wednesday morning at The Barn, Dollman's Farm in Houlton, the new village community that's being built on the outskirts of Rugby. The class is suitable for all levels and abilities. Those new to yoga will be warmly welcomed. The class takes place at 10am to 11.15am and, due to its proximity to The Tuning Fork Cafe, you can relax after class and enjoy coffee and cake with your friends. Mindful yoga is a gently form of yoga which encourages you to slow down and become aware of how your body is responding to the flowing movement. You'll also learn to breath better and relax deeply. Caron Lindley, Yoga Teacher, says "People who try Mindful Yoga love it. I encourage everyone to practise at their own pace and offer props to make poses more comfortable." Autumn Yoga Classes in Rugby, Crick, Lutterworth, Ravensthorpe and Daventry. Grab a yoga mat and salute to the sun this Autumn. In just two weeks Red Hat Yoga will be launching the new term of weekly yoga classes. With ten classes on the Autumn timetable, you've a wide choice of times and local venues to suit all schedules. Classes are mixed ability and everyone is warmly welcomed. Unlike most yoga classes, you don't have to book for a whole term. We get it that you're busy and sometimes life just gets in the way. So you can come when you can. All we ask is that you book and pay for your place online, in advance, so that we know to expect you. The exception to this is Yoga for Beginners which is a 6 week course. Classes are busy so book early to avoid disappointment! We're also very excited to be offering new classes at the gorgeous new Sheaf Street Health Store in Daventry, which open its doors on 8 September. 12.15pm - 1pm Lunchtime Calm Space (Introduction to meditation) @ Sheaf Street Health Store.